Performers include: Kathryn Prescott, Cynthia Watros, Anna Jacoby-Heron, Alexis Denisof, and Zac Pullam. This family drama revolves around Carter Stevens (Kathryn Prescott), a teenage girl who believes she has the perfect life. That all changes one night when the police raid a high school party and she learns that her single mother, Lori (Milena Govich), abducted her as a toddler. Carter is returned to her biological family, the Wilsons — mother Elizabeth (Cynthia Watros), father David (Alexis Denisof), younger sister Taylor (Anna Jacoby-Heron), and little brother Grant (Zac Pullam). Carter must navigate through her new life but vows to be reunited with Lori. Carter uncovers a shocking truth after someone close to her is murdered which will change everyone’s lives forever. In the midst of legal battles, David and Elizabeth petition for temporary custody of Ben. First aired: December 15, 2015. What do you think? 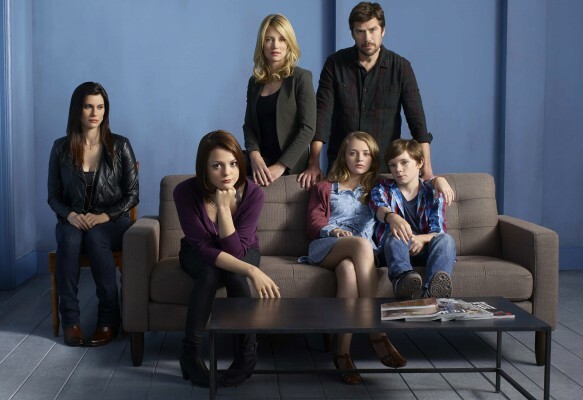 Do you like the Finding Carter TV series? Do you think it should have been cancelled or renewed for a third season? A movie could be made or mini series just to tie up all the loose ends. goimg to miss that show. At least have a movies to tie up all of the loose ends. Really liked that show. Going to miss it. I loved this show too! Was so shocked it was cancelled,would love to see it return. Really kept me excited for next episode. how can we convince whomever to renew this show? I loved this show!! This show was great and told so many lessons and left the viewers on multiple important cliff hangers that I’ve been waiting for the answers to for 6 months please bring it back I’ve seen many more complaints as wel!!! Not happy with this news! I and others are sick and tired of you people canceling good shows, while you keep running the same kind of shows. Not everyone likes cop shows, reality shows etc. when you are contimpating a cancellation, why not let your viewers vote?. Please bring back Finding Carter! My daughters & I love this show! How can MTV cancel it??? So upset they cancelled finding carter! I love this show and have been waiting for it to come back on!